Where in the workforce would you most expect to find millennials? The most cynical people would say either working in the service industry, or not working at all. Those with a kinder worldview might say at a non-profit, or founding an inscrutable tech startup. If they’re working in a traditional business, they must be near the bottom of the totem pole, right? After all, millennials have been in the workforce for less than a decade. The truth is, though, that millennials are some of the most dedicated, fastest career advancers you can imagine. Our research found that there are 11 million millennials on LinkedIn that would qualify as “decision makers.” And for every millennial in a position of power, there are many more climbing the corporate ladder behind them. B2B marketers, take note: Your target audience may very well include millennial decision makers. Millennial buyers. Millennials on every seat of your buying committee. It’s time to start tailoring your approach to appeal to them. B2C companies can provide some guidance on how to best reach millennials. But not every B2B brand can be as earnest as TOMS, as quirky as Zappos, or as covet-worthy as Apple. We B2B marketers can do better than chasing B2C trends, anyway. Sometimes the best way to reach the digital generation is to offer something they can’t get online: The joy of opening a surprise package. Tetra Pak makes packaging solutions for food and beverages. Their new product was an ergonomically-designed “aseptic liquid container” (some would say “carton”) with a tilted cap for easier drinking. To promote the new packaging, they sent sample packages in the mail to 72 highly-targeted leads. These packages were more than just a product sample, though. They were beautifully designed to grab attention, weighted to add a sense of mystery, and contained an Instagram-inspired foldout showing how the packaging would enhance beverage makers’ brands. The foldout led readers to an online content marketing portal with more content aimed at millennials. As DMNews reports, the campaign was intended to appeal to millennials, and also demonstrate how their packaging could appeal to their customers’ millennial end users. 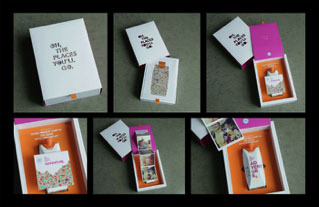 The campaign was a smashing success: With just 72 packages, Tetra Pak generated 500 inquiries. Their multimedia approach, impeccable design, and sense of mystery and fun made millennials take notice. The artist (er, brand) formerly known as PriceWaterhouseCoopers is an accounting and security firm with plenty of B2B credibility, but low visibility with an up-and-coming millennial talent pool. The one time their brand gets to take center stage (literally) is at the Academy Awards. They’re entrusted with keeping ballots secret and secure, and to deliver the results on the big night. The campaign eventually expanded to Twitter and Instagram as well, with Oscar host Neil Patrick Harris joining in to help boost the buzz. PwC’s attempt to liven up their brand for more millennial appeal paid off. The firm saw increased audiences on Instagram and Snapchat, and even raised their Twitter impressions 136x. There are few B2B brands rocking new media harder than GE. From staging a robot concert to their Unimpossible Missions video series, they’ve made cool content their mission. Late last year, GE kicked off a new podcast called The Message. It’s a science fiction story that played out over eight episodes. In it, the NSA hires a group of young hackers to decode an alien message, and intrigue ensues. The brand wisely keeps to the sidelines—there’s no “Quick, Johnny! Grab my GE Electro-Drill by GE!” It’s a surprisingly well-done experiment in old-timey radio drama with a modern sensibility to it. A study from Ypulse last year showed that 35% of millennials listen to at least one podcast a week. GE seized on the opportunity to reach their audience via unconventional means, making something genuinely entertaining in the process. Their efforts paid off—the podcast stayed on the iTunes top 10 for all eight episodes. Microprocessor company Intel might be a newcomer compared to institutions like PwC. Time moves faster in the tech industry, though. Intel has needed to prove its continued relevance to millennials who were in kindergarten when their famous “dancing bunny suit guys” ads aired. Intel took a smart approach to creating iQ, their branded content hub. The brand empowered their own millennial employs to help curate content. An algorithm looks at what relevant articles are trending on social media, then filters it based on what employees are saying and sharing. The result is an endless stream of compelling content that speaks directly to Intel’s target audience. Transparency and authenticity are more than just buzzwords to millennials. We like the companies we do business with to take us behind the scenes, show some personality, and have a culture we can feel good about supporting. It makes sense we would carry those values over as B2B buyers. That’s what makes MailChimp’s Instagram presence so irresistibly charming. The company has a solid value proposition, but that’s not enough to get millennial buyers to opt in. So they differentiate by highlighting their company culture. Their mascot promotes local charity events. Their employees take goofy selfies. They all seem to be having the time of their lives. At over 35,000 followers, MailChimp is definitely getting the word out to millennials. 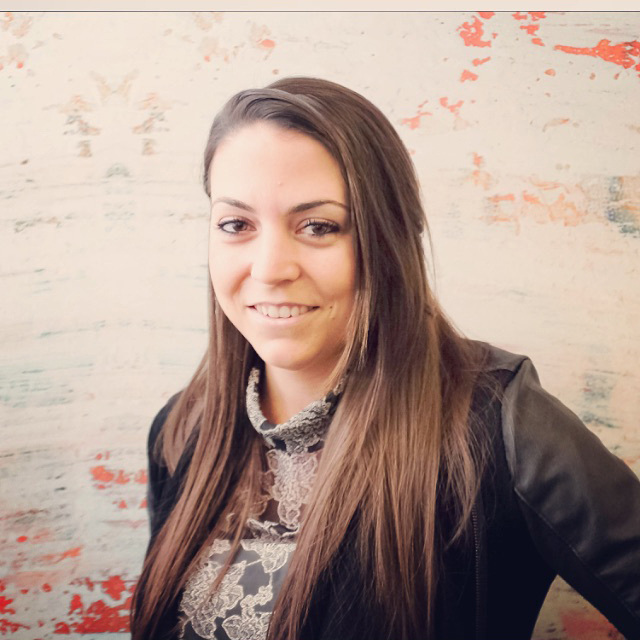 So how do you market to millennial B2B buyers? As these examples show, you might need to take your brand a little out of its comfort zone. Get our attention with something unexpected, entertaining, unusual, or just unusually honest. Show us the people behind the brand. Give us a brand we can root for, not just a product to buy. If you can do all these things, your marketing will be more compelling to everyone, not just millennials. To learn more about marketing to millennials, download The Millennial Playbook. Millennial Minute: What Will Customer Service Look Like in 2020?